I love digging deep into God’s Word and “Worthy of the Calling: A Free 31-Day Online Bible Study with Sarah Koontz” was the perfect way to study the Bible book of Ephesians! Originally, I learned about this Bible study when a friend reached out to me about the author needing readers to join her launch team. I looked up Sarah’s invite, saw the title for her Bible study and was intrigued. I decided to join her team then and there because I believed that the message was worth my time. When I sat down to read this Bible study on the book of Ephesians, I felt calm and relaxed. As I kept turning the pages, I felt like I was growing closer to God’s Message. The author dives deep into God’s Word. She teaches the reader to embrace their God-given destiny, to talk to Him about anything and everything, to share your heart about what God’s done for you and most importantly to believe that you are worthy of the calling He’s placed on your life. Sarah reminds us throughout her study that we are adopted sons and daughters of God. We are His Heir through His Son Jesus Christ. We are His family. It’s wonderful to be reminded in a world that’s obsessed with royalty that we—no matter what our station in life—are adopted into God’s Heavenly Family, which is better than earthly royalty. As God’s children, our royal titles don’t end when we die; they carry on forever because faithful Christ-followers are promised to a life after death, one where they live in God’s Presence for eternity. Sarah’s study is divided into 31 Days. Each day brings a new message from her heart inspired by God. She uses Day 1 to teach you your identity and privilege as a “faithful saint” and on Day 2, she reminds you that you’re “Chosen by God”. As the days progress, her message goes deeper into God’s Word and exhorts you to not only realize that you are “Worthy of the Calling” but you have a responsibility to share God’s Message with the world. Beautiful, colorful, and insightful memes decorate every page of this study. The pictures are captivating and the words on it are a call-to-action. The author doesn’t shy away from challenging the reader to see life through a faith-filtered lens. The reader can tell that the author did her homework before writing this study. Her message is theologically sound and supported by Bible verses. She doesn’t write in paragraphs; she breaks her message down in blocks of two to three sentences on every page throughout this study. It’s a great marketing strategy that’s easy on the eyes. One of the most memorable sentences in her study is this: “Prayer gives us access to spiritual nourishment—enabling us to battle and behave like believers. But we must shape our prayers in a way that pushes beyond the physical and into the spiritual” (page 16). I like how the author reminds us that our enemy is NOT humankind; it’s the devil. Because we cannot see the spiritual realm when things happen that upset us and it looks like a person is to blame, more than often it is the evil spiritual force behind that person that is to blame because as the Bible says, “For we wrestle not against flesh and blood, but against principalities, against powers, against the rulers of the darkness of this world, against spiritual wickedness in high places” (Ephesians 6:12). Overall, this is a thought-provoking, soul-stirring, mind-uplifting study that will impact your life for the better. I’d give it a five-star rating if it were a book being sold on Amazon.com. But I don’t have to do that because out of this goodness of her heart, the author is giving this Bible study to readers for free! Sign up for Sarah's free Bible study here, https://www.sarahkoontz.com/worthy/. It amazes me how imaginative God is, and how He exceeds our expectations. This is especially true when it comes to answering our prayers. Growing up, I hoped to eventually get married and have a family. When I went to college, I put all my efforts into my classes. 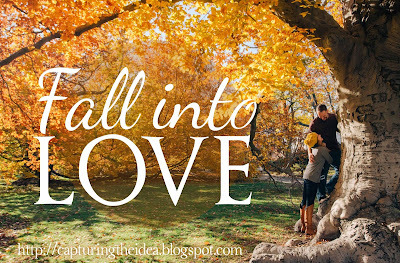 But in the back of my mind, I wondered when I’d meet “the one” guy I’d eventually marry. I prayed God would help bring us together, and that He’d give us the wisdom we needed when He did. I sometimes wondered if I’d meet that guy in a class. Or maybe in the café when I stopped to grab a muffin for breakfast. As it turned out, I did meet the man who would eventually become my best friend, my soulmate, and my husband. It was even during my college years, but not quite the way I expected. October 27 of this year marked the twentieth anniversary since the day Doug and I first spoke—by e-mail. At the time, he lived in Texas, and I lived in Oregon. Our moms were e-mail friends and discovered they both had kids in college the same age. It wasn’t long after that when I received a message from him. He introduced himself, and our friendship took off from there. We e-mailed and instant messaged back and forth for over a year and a half. During that time, we became best friends and talked about nearly everything. In July of 1999, our families decided that we should all meet up. We chose a place in Arizona and went on a camping trip. I can still remember the jumble of nerves and anticipation at the idea of finally getting to speak to Doug face-to-face. Would we still get along? Would we be friends like we were online, or find out we didn’t have nearly as much in common as we thought we did? To our amazement, there were no awkward moments. We didn’t have to spend time getting to know each other. It was as though we’d been sitting in the same room talking for a year and a half instead of sending e-mails and instant messages back and forth. Before going to Arizona, I was pretty sure I was already in love with him. But sitting there by the campfire, content just to be in the same space together, I knew he was “the one” for me. I married my best friend on June 9, 2000. Since then, we’ve had over seventeen years of adventure. We’ve faced life’s challenges together and came out stronger on the other side. Looking back, I recognize all the little things that fell into place. If even one of those hadn’t happened, I may have never met my husband. Praise God He can look at our lives and see the big picture. Melanie D. Snitker has enjoyed writing for as long as she can remember. She weaves together faith, love, and family to create memorable stories with a happily-ever-after. She and her husband live in Texas with their two children who keep their lives full of adventure, and two dogs who add a dash of mischief to the family dynamics. In her spare time, Melanie enjoys photography, reading, crochet, baking, and hanging out with family and friends. You're in for a special treat because today is my blog's stop on Litfuse Publicity Group's KJV Know the Word Study Bible book tour. Below, you can find details about this special book, you can read my review of it AND you can enter a giveaway for your chance to WIN a Kindle Fire device! So let's begin reading this blog post, shall we? About the publisher: In business since 1798, Thomas Nelson is one of the oldest Bible publishers in the world and the largest publisher of the King James Version. Their mission is to inspire the world by using our talents, assets, opportunities, and influence to engage and equip people with Scripture and draw people to a deeper study and understanding of God's Word. Find out more about Thomas Nelson at https://www.thomasnelsonbibles.com. I’ve been looking for a new study Bible for about a year now. So when this opportunity to read and review the KJV Know the Word Study Bible arrived, I took it and it’s been a great blessing to me. While I have not read this Bible from Genesis to Revelation yet, I have spent time in this version of God’s Word and I love it! This Study Bible is well organized. The layout is user-friendly. I love the attention to detail. The publishers have produced an impeccable product with no editorial mistakes. The content is accurate. The study materials allow the reader to go deep into God’s Word with topic-by-topic articles throughout the entire book! The topics include but are not limited to God the Father, God the Son, God the Holy Spirit, Love, Salvation, Christ Follower, Obedience, Purpose, God’s Will, Relationships, Suffering, Faith and Works. There are “Study the Book” inserts in every book of the Bible. These features highlight the lessons within each book and give the reader insight into what the writer of that book meant. This tool provides an in-depth look at the context of those Bible verses. It gives the reader a mini-history lesson that helps the reader to understand the “why” behind the “what”. This is a great way to go deeper into your understanding of Bible times and God’s character. Footnotes fill the bottom of every single book in this Bible from Genesis to Revelation. These footnotes are helpful because they explain details that you may have missed when reading this on your own which brings me to my final point. My final point is a word to the wise—Always ask God to send His Holy Spirit to teach you and lead you before you start reading His Word (The Holy Bible) because if you read without a prayerful attitude and God’s guidance, you may miss what He has to say for you. I’d give this Bible a 5-star rating on Amazon.com for it is a wonderful read that’s precise, concise and allows the reader to go deep into God’s Word. 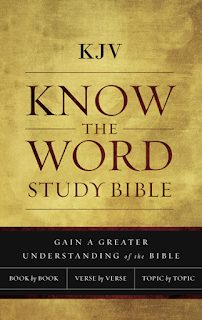 *Litfuse Publicity Group provided me (Alexis A. Goring) with a complimentary copy of KJV Know the Word Study Bible. My opinions in this book review are my own. 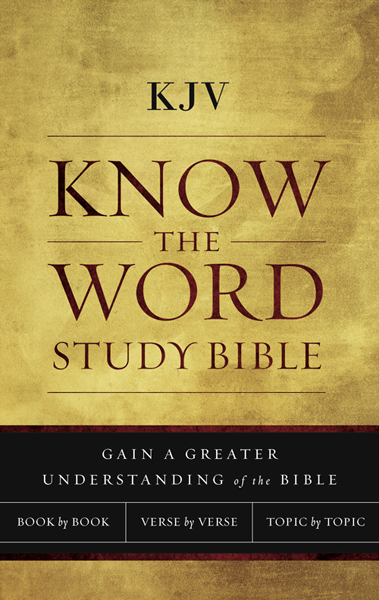 Diving deeper into God's Word can be easy and rewarding if you break it down book-by-book, verse by verse, or topic by topic with the new KJV Know The Word Study Bible by Thomas Nelson. The book-by-book series of notes leads you through the main points of each book of the Bible. The verse-by-verse notes help you to dig deeper into God's Word. The topic-by-topic articles, which cover 21 theological topics, guide you through a series of insightful notes and give you a thorough biblical understanding of each topic. With the beautiful and timeless text of the KJV translation, the KJV Know the Word Study Bible offers you choices of how to study Scripture and grow in your relationship with Christ. It's Thursday and I'm thankful because I choose life. We live in a broken world filled with heartache, sorrow, and pain. But in the midst of it all, we have a Risen Savior Jesus Christ and He wants us to "choose life". Lately, it's been on my mind. More than ever I realize whenever I allow myself to reflect on negative experiences, situations or words said to me, I am in essence NOT choosing life. When I allow those discouraging thoughts to dominate my mind, I am essentially choosing death. The Bible says that life and death are in the power of the tongue which is a good reason to only speak kind, life-affirming words to everyone you interact with but that's another devotional for another day. More than ever, I am encouraged to capture those negative experiences and words said and submit it to God then ask Him to help me renew my mind (Romans 12:2) so that I may actively choose life over every situation life puts me in. When my mind is taking a negative dip, I have to focus on the Word of God, meditate on His Truth and not allow myself to sink deep into despair. I must choose life so that I may live, just like God tells us to in Deuteronomy 30:19. I first heard the call in July 1987. As I had ever summer since 5th grade, I joined four thousand other students for a week in attending Falls Creek, one of the largest Christian camp in the world, located in the Arbuckle Mountains in southeast Oklahoma. 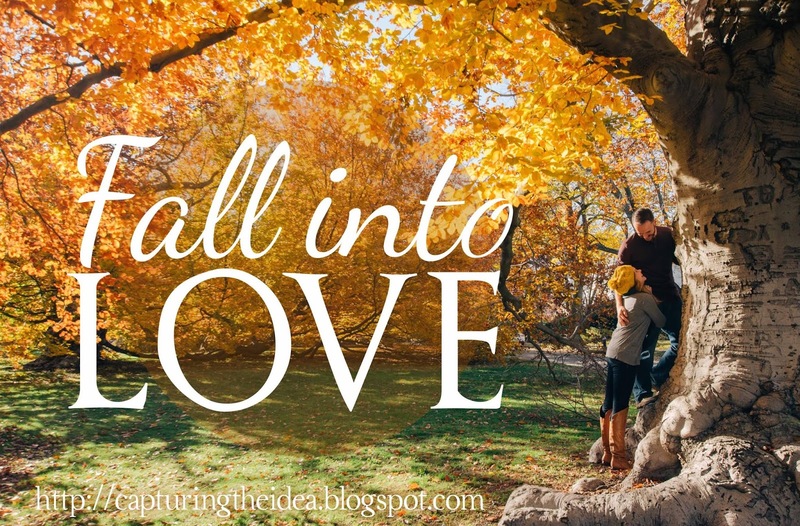 One sweltery evening in that naturally air-conditioned tabernacle, while sitting on a rock hard wooden bench, I heard God whisper to me that he wanted me to marry a man who would be a pastor. Logically I yes. Who wouldn’t want to marry a man in the ministry? Umm, me. In my perspective, pastors’ wives had perfect hair, manicured nails, and spouted scripture like it was water. In no possible way would I fit “the mold.” (As I type this my left hand is blue because I forgot to wear a glove when I colored child #4’s hair.) Every pastor’s wife I knew fit that mold. Ugh, the responsibility of being a Proverbs 31 woman wife. So I told God no. And I was miserable but happy because God stopped pestering me. Then in January of 1988, I attend the Youth Evangelism Conference. This time God spoke in that voice. If you’ve heard it, you know it, and you listen. I said yes and meant it . . . mostly. After several dating relationships and one engagement, I reached the point when I couldn’t continue ignoring God. He wanted me to marry a pastor. Well, the only way that to make it happen was go to where pastors (or wanna-be-pastors) corralled. I hightailed it to the Baptist Student Union, made a list of men called into ministry, and then start dating. Hubby was #4. We first held hands during a college retreat at Falls Creek. He proposed to me one Sunday morning at the end of the worship service. At that time he was the youth and music pastor of the very church that (24 years and 5 churches later) we now attend. Instead of serving on the staff of a church, he now ministers to churches by helping them save money on insurance coverage. In all the years I was a “pastor’s wife,” I never fit the mold. I tried for ten years. It made me miserable. Being me is much easier. Even easier was letting go of being me and letting God make me into being like Jesus. I know authors who talk about God calling them to write. Not me. In my life, I’ve had two calls I know came from God: (1) to forgiveness and new life in Jesus and (2) to marry a pastor. Over the years, love has ebbed and flowed. Marriage is hard. Marriage is also a rich blessing. In two weeks (Nov 14th) my husband will have open heart surgery to repair a birth defect – a bicuspid aortic valve. I can’t—don’t want to—imagine life without him. While the surgery has a 98% success rate, I have moments of worry. In those times I speak truth: I know God is able to heal my husband. I know God can. But even if God doesn’t, my hope is in God alone. I know this because I know God keeps His promises. He keeps His promises to you, too. 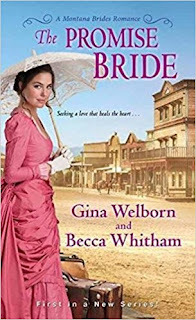 Gina Welborn is the bestselling author of sixteen inspirational romances, including the new Montana Brides Series from Kensington Publishing. She’s a member of Romance Writers of American and American Christian Fiction Writers, and she serves on the ACFW Foundation Board. Sharing her husband’s passion for the premier American sports car, she is a lifetime member of the National Corvette Museum and a founding member of the Southwest Oklahoma Corvette Club. Gina lives with her husband, three of their five children, several rabbits and guinea pigs, and a dog that doesn't realize rabbits and pigs are edible. Determined to save her father and siblings from a crumbling Chicago tenement, Emilia Stanek becomes the long-distance bride of a Montana rancher. But when she arrives in Helena, a rugged lawman shatters her plans with the news that her husband is dead—and deeply in debt. 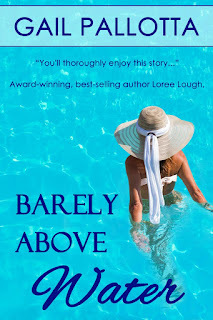 Interview with Gail Pallotta, author of "Barely Above Water"
Alexis: What inspired you to write this Contemporary Romance, Barely Above Water? Talk about how you chose the title too. Gail: I have Chronic Lyme Disease, but by the grace of God and with excellent care I’m able to lead an active life. By way of the grapevine, I began to receive inquiries asking how I found help. Hearing people’s struggles to find treatment, I decided to write a book detailing some of my symptoms and treatments and include a section in the back by two experts. I wanted my novel to be fun to read, so I added a romance and a rag-tag swim team. My daughter’s many years of swimming and eight years of coaching inspired the team. I titled this book after much thought. A reference to water seemed a natural choice because the story involves swimming and it’s set in an area that’s a peninsula. However, I needed words pointing to a struggle to survive. Thus, "Barely Above Water". Alexis: Tell us about your story’s heroine, Suzie Morris. Describe her looks, heart, and passion for life. Include insights into her personality and the reason for her character flaw. Suzie’s passion is to get rid of the illness wreaking havoc on her life. As far as her personality, she’s an extrovert who enjoys people. She has a healthy competitive spirit and thinks outside of the box. Right now, she’s lost self-confidence because the malady is causing her lots of problems, and her boyfriend dumped her because of it. She’s always loved God and depended on Him, but she needs His help even more than ever now, and she asks for it. Suzie is dealing with a lot—an illness, being dumped by her boyfriend, not having family still alive and doctors who are clueless about how to help her. You’ve said that she is a Christian. How is her faith getting her through these tough times? 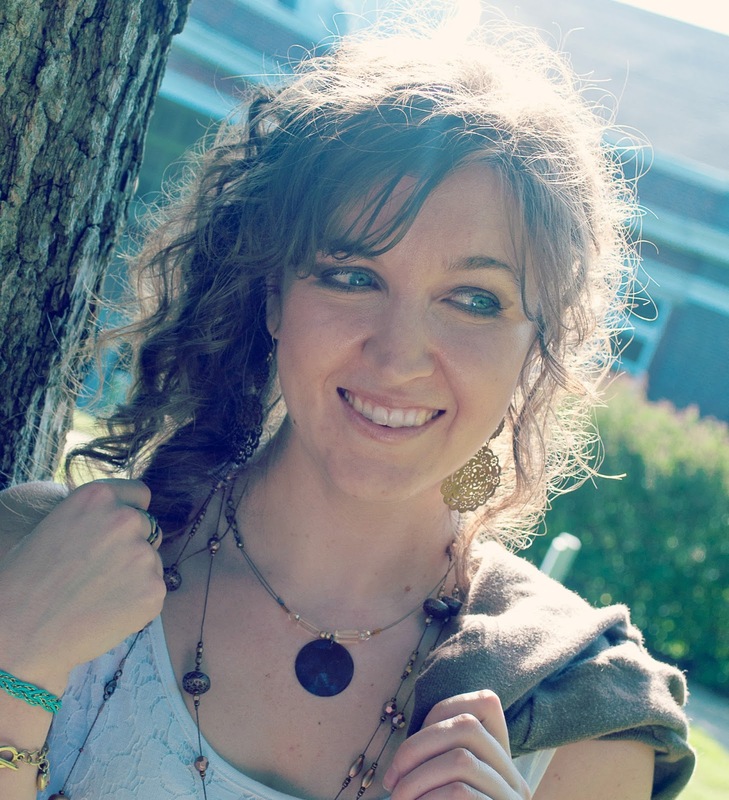 Suzie believes God directed her to the chiropractor who successfully treats her. She’s convinced if she prays and follows God’s lead, He will take care of her. Her faith gives her the strength to persevere and hope. Alexis: Why did Suzie want the job coaching a swim team? Why is she passionate about transforming them into winners? Gail: Suzie left her job as a magazine editor to move to Destin to receive the treatment she needed and took the only job she could find. As a championship swimmer in her teens, Suzie has a competitive spirit. That’s coupled with the fact that these swimmers are children of the city’s service workers who help make the tourist season succeed. Most of them have little experience swimming. Some don’t even know how. As Suzie works to perfect their technique, they grow encouraged and try to become accomplished. She wants them to see their hard work pay off and grow confident in their abilities, which will give them more confidence in life in general. Alexis: What is Suzie’s boss’s name? In what ways does he renew “her belief in love” and does that renewal carry on through the story? Or do they face obstacles? Gail: Matt, Suzie’s boss, has sworn off women, but he falls for Suzie, and she’s attracted to him. When he and Suzie go out, he’s complimentary toward Suzie and treats her well. For that reason and the chemistry between them, she opens her heart to him. Unfortunately, Matt’s had a problem coping with illness ever since his mother died from cancer. When he learns of Suzie’s mysterious malady, he breaks up with her. Alexis: Tell us more about the hero of this story (Suzie’s boss). What is his background? What about Suzie attracts him? What are his likes and dislikes in life? Gail: Matt’s a great guy, but he’s suffered losses that have left him going through the motions of living rather than embracing life. When he was in high school, he was a football star. He was really good and dreamed of a pro career. However, he injured his knee and ended up not playing anymore. Then, his mother’s death shattered his heart. At first, he’s attracted to Suzie’s looks, but as he learns more about her, he respects her personality, intelligence, and problem-solving ability. Later, he’s impressed by her fortitude, which she attributes to her faith in God. Matt’s heart’s still with football, but he also enjoys being around the swim team kids and wants to see them win. He likes his job as head of the parks and recreation department in Okaloosa County as well as he would any other than playing pro football. In his leisure time he enjoys walking on the beach, the harbor or a boardwalk. He’s a pretty laid-back guy without many dislikes, but he is bitter toward his dad and his high school girlfriend. They insisted he drop his dream of playing football, find a good business school and pursue a more realistic career. Alexis: What was the most rewarding part of the writing process? Gail: Knowing I was doing something that would help someone suffering. I realized I may never hear from that person or persons, and I probably would never know who they are, but I knew Barely Above Water contained valuable information about this little-understood disease. Alexis: What’s the take-home message that you want your readers to remember about this book? Gail: The hope faith in God brings. Alexis: If you were not a writer, what would you be? Why? Gail: I have a background in public relations. Also, when my husband built houses I decorated them or worked with the buyers to do so. I enjoyed both. If I were to return to public relations, that would be because I enjoy talking with people. If it were decorating, that would be because I liked dreaming up a decor the way I do my characters. However, I’m happy writing books! Alexis: Thanks for the interview, Gail! Would you like to share any closing thoughts? Gail: Thank you for having me. Award-winning author Gail Pallotta’s a wife, mom, swimmer and bargain shopper who loves God, beach sunsets and getting together with friends and family. 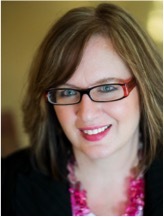 A former regional writer of the year for American Christian Writers Association, she won Clash of the Titles in 2010. Her teen book, Stopped Cold, finished fourth in the 16th Annual Preditors and Editors readers’ poll and was a 2013 Grace Awards finalist. 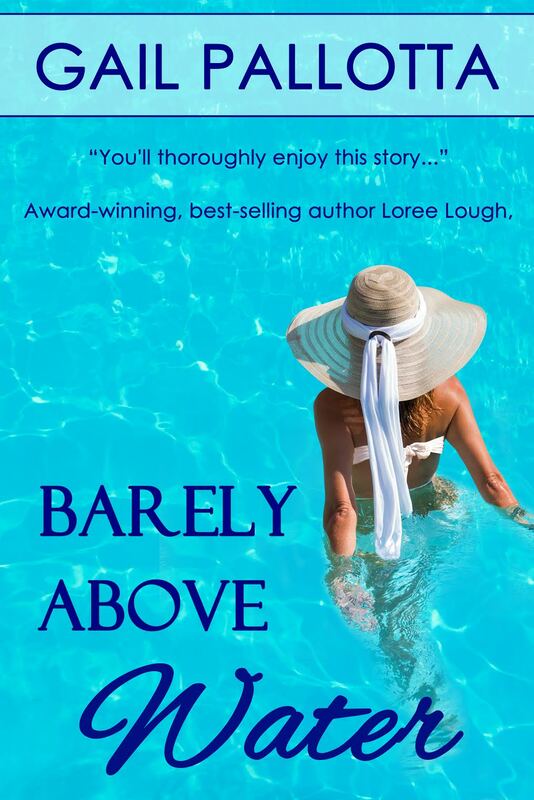 Barely Above Water won Honorable Mention in the Reader’s Favorite 2017 Book Award Contest in the Christian - Romance - General Category. She’s published five books, poems, short stories and two-hundred articles. Some of her articles appear in anthologies while two are in museums. Gail loves to connect with readers. To learn more about Gail and her books, visit any of her social media sites. Book Blurb: An illness comes out of nowhere and strikes Suzie Morris. Her boyfriend dumps her. She has no living family, and her physician can’t diagnose the malady. Suzie relies on her Christian faith as she faces the uncertainty of the disease, and turns to a renowned alternative doctor in Destin, Florida. She takes a job coaching a county-sponsored summer swim team. She’s determined to turn the fun, sometimes comical, rag-tag bunch into winners. Her handsome boss renews her belief in love, but learns of her mysterious affliction and abruptly cuts romantic ties. Later he has regrets, but can he overcome his fear of losing a loved one and regain Suzie’s trust? It was a hot summer evening in Georgia when I got a call (on a landline) saying my friend was in labor. We’d only just graduated high school, so this baby was a big deal, a first for my young friends and I. I arrived at the hospital with six friends to wait as long as needed to see the new baby girl arrive. We found ourselves sitting in uncomfortable, dated hospital chairs, watching the muted nightly newscast from a boxy TV attached to the wall in the corner. As if eighteen-year-old girls hanging out in a labor and delivery ward weren’t unique enough, a super cute handful of nineteen-year-old boys were sitting opposite us. Most of us had yet to meet the buddies of the dad-to-be. They were from a different high school and had never been on our radar, but they sure were after that night. My friends and I chatted softly, excited about the baby and the hotties breathing the same air as us, though neither group made an effort to meet one another. We were all content to simply stare. One of my friends, the only one to have met a few of the boys previously, told us the cutest of them was named…let’s call him Joel. I scoped out the herd, and located Joel in his faded red Georgia Bulldog hat and a white t-shirt. He was gloriously tanned which only amplified his light blue eyes. He was fit and lean like only an athlete could pull off well. One look had me agreeing with my friends. Joel was the cutest. I’ll never forget the flush on my cheeks and how my mind replayed our brief eye contact over and over in slow motion. After he was long gone, my girlfriends kept talking about Joel. I was very confused and finally spoke up, telling them Joel had already left the hospital. My friends gave me raised eyebrows and creased foreheads cueing me in that I’d missed something. They told me Joel was still there and nodded to a guy who was cute, but definitely not my Joel, the guy who’d already left the hospital. When my friend realized the mistake I’d made, she told me the guy who’d left was named Ashley, not Joel. It was an interesting name. One I would never forget. And God had a plan for our future. A few weeks later, my girlfriend wanted to set me up with a guy who’d started working for her dad. I was very against any “set up” at first, but then she remembered a very important fact. She told me it was Ashley, the guy whose identity I’d mistaken at the lobby. After I’d recovered and picked up my stomach from the floor, I agreed to meet him. Our brief meeting ended with him later getting my home phone number from my friend. He called that evening and asked me out on our first date the next day, a Friday. We ended up talking for a couple hours. Not only was he cute, but he was sweet and hilarious too. Our first date was followed by our second the very next day. After it, I came home and told my mom I was going to marry Ashley. And that I did. This past summer we had a special anniversary. We had our first date when I was eighteen, and just had the eighteenth anniversary of that first date. The love of my life has now been with me for half of my life. And it’s only getting better. Author Bio: Kristen has a Master's degree in Theological Studies and was on staff as a Children's Ministry Director for over five years. She cherishes her Southern roots and currently lives forty-five minutes outside of Atlanta, GA.
With the support of her husband and two children, she stays at home writing Christian fiction, making up fantasy places and characters, allowing God to take the story where He needs it to go. She is also involved in the women's leadership team at her church, and writes for Wholly Loved ministry at WhollyLoved.com. To see her blog and current novels, check out her website at www.kristenterrette.com. 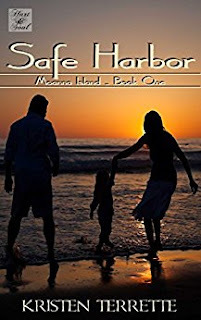 Book Blurb for Safe Harbor: Eva Elliott is left with a jaded heart after the death of her boyfriend while she was pregnant. She pushed away the idea of God and love, focusing solely on her daughter, Willow. She accepts an offer from her mom to move to Moanna Island, off the coast of Georgia. She hopes the move will help her tuck away the guilt for the role she thinks she played in her boyfriend’s death. Thad Smith’s Pro-Football career came to a crashing and embarrassing halt, sending him running to Moanna Island. He enjoys living under the radar and finds a new purpose as he dedicates his life back to Jesus, but he feels guilty for the sting of loneliness that’s crept into his seemingly full life. When he saves Willow from drowning in the ocean the first day Eva arrives on the island, he can’t deny the electricity between them. Eva stubbornly fights the stirring in her heart the moment Thad smiles, but since Thad coaches the football team where Eva teaches and lives down the street, God continues to intertwine their lives. When he tells Eva he’s not only falling for her, but Willow as well, she thinks maybe…just maybe, it would work between them. Interview with Melissa Tagg, author of "All This Time"
Welcome my creative friend Melissa Tagg to the blog! 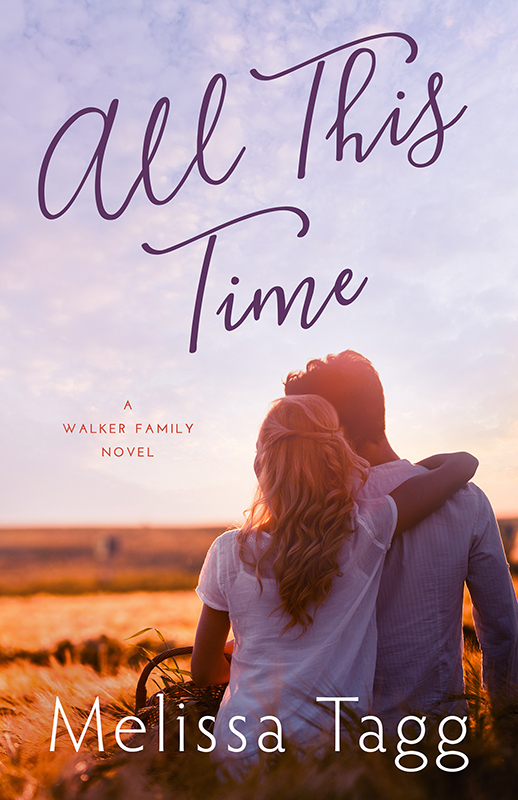 Melissa is here to talk about her new novel, All This Time. Alexis: What inspired you to write this book and why did you name it “All This Time”? Melissa: Well, to be honest, what inspired me most of all was the need to finish the series. LOL! This is a book I’d been building up to throughout the whole Walker series and I didn’t really know what the plot would entail as I approached it. I just knew I wanted to give Raegan and Bear a story worthy of the buildup and give readers a satisfying finale. But when it came time to figure out just who these characters were, characters we’d only seen in snippets here and there throughout previous books, I was very inspired by the idea of writing about one character who can’t seem to outrun his past…and another who is too scared to chase her future. I named it All This Time because it just fit. We’ve seen Bear and Rae “all this time,” in other stories, but we haven’t truly had a chance to get to know them. They’ve both been keeping secrets “all this time,” too. Alexis: What was the most heart-wrenching scene for you as the author to write? Melissa: Probably one of the most heart-wrenching scenes was a moment early on in the story when Bear realizes what kind of childhood his niece and nephew have had so far. Because I happen to work in a nonprofit that serves struggling people—including children—who’ve led very unstable lives, it made me tear up just to think about it. Jamie and Erin, the two kids in the story, are fictional. But there are so many real hurting people in this world…lonely people who don’t realize life can be different than what they’ve always known. The reality of that pricked my heart as I wrote. Alexis: What scene or line from this book warmed your heart? Melissa: So many because I just love these characters SO much. But the scene that warmed my heart more than anything is the epilogue. I don’t often write epilogues but this story just begged for one. It was a chance to give every Walker siblings—and their dad—a final send-off into their unwritten futures. Each one is walking into a new season in their lives and I just loved getting those final moments with them. Alexis: Would you say that Bear is a family man? Why or why not? Melissa: What’s funny is that in the beginning of the story, he’d probably tell you he’s not. He has quite a few family wounds in his past and for that reason, he tends to hold people at arm’s length…or at least he tries to. But at heart, he is very much a family man. Even though he’s purposely distanced himself from his family, he still loves and cares for them, no matter how much he denies it. He’s incredibly hungry for a family of his own. Throughout the story, we see ways in which he knowingly and unknowingly searches for a “stand-in family.” And when we see him with his niece and nephew, that seals the deal. Alexis: How did you create Maple Valley? Paint a picture with words about how it looks, smells, and feels, then explain why it’s a special place for your main characters. Melissa: Maple Valley is quirky and unique and cute and quaint and so many things I love about real-life small towns. Think Stars Hollow from Gilmore Girls with just a tad more reality. Haha! A charming town square. A heritage railroad. A thriving orchard. And a river that cuts right through the center of town. It’s special to my characters simply because it’s home. It’s full of memories. It’s also a safe haven when life doesn’t go as planned…a place where they can “press pause” and confront what’s going on both inside and outside them. Alexis: Describe Bear as the hero of your story. Why is he worthy of this role? Melissa: I don’t want to give away too much of Bear’s personality and past and characteristics because I really want readers to discover him as they read…just like I did as I wrote! But I will say that the Bear we saw in previous books, the one who seemed so put-together and settled and wise, is much more broken than we might’ve realized. He has a very messy past and because of it, he’s sort of man at war with himself. What makes him a hero? He’s unflaggingly kind. More than that, he really embodies sacrificial love. He’s given up a lot in his life, made huge sacrifices for the people he loves. That’s definitely his biggest heroic quality. Alexis: Raegan Walker is your story’s heroine. Describe her looks, personality, heart, and flaws. Melissa: Much like Bear, readers are going to find out that the spunky, carefree Raegan they encountered in previous books has much more going on under the surface. She has very real fears that hold her back from boldly chasing her dreams. She tells herself she likes her life just the way it is, but right from the opening of the book, we see that she’s beginning to doubt her own claims. Raegan is artsy and creative and unfailingly loyal to her family. Alexis: Why does Raegan think she has to hide her struggles from her family? Melissa: In previous Walker books, we see how successful all her siblings have been. Sure, they’ve all had struggles and past books show us that. But at the end of the day, Logan is a successful speechwriter, Kate has written movies and books, and Beckett has gone from the partner track at a major Boston law firm to happily co-managing an orchard. So, Raegan already feels like the odd one out. She doesn’t have a career. She’s never moved away from home. She still lives in her childhood bedroom! So to then admit she’s struggling with deeper issues—it’s just too much for her. Alexis: Why did you make Raegan an artist? What significance does her creative talent set play in this story? Melissa: You know, I honestly don’t remember where the seed of that particular story angle was planted. But in past books, we always see Raegan with colorful hair and lots of bracelets and bright clothing. I suppose it just made sense for someone with such an artsy look to also have an artistic background. And it really worked well for her character. Her creative talent is significant because it’s one of the things she’s shelved due to her fears and struggles. We get to see old artistic dreams slowly revive during the story. Alexis: How does Bear help Raegan out of her hardened shell? Melissa: You know, I think Raegan’s actually a very soft person…she simply has fears she’s scared to reveal. She has a secret…one that Bear happens to stumble on by accident, actually. But once Bear learns what she’s been hiding, he becomes a natural safe space for her simply because he’s, well, Bear. In past books and in this book, we see that Bear is the kind of person people just naturally gravitate toward. In fact, we’ve seen both Kate and Logan Walker at various times in past books spill their angsty thoughts to Bear without hardly even knowing him! He’s just that kind of person. I’ve known people like that in my own life, who were able to draw me into sharing pieces of myself I wouldn’t naturally be inclined to share without knowing them a long time—that’s an amazing quality to have. Alexis: What does Bear love the most about Raegan? Why does he love her so much? Melissa: Bear loves Raegan’s creativity and her humor and the fact that she comes from such a wonderful family. He’s always wished for a family like hers. He will also eventually love that she doesn’t judge him for his past…that, in fact, she values the way his past has shaped him into the man he is today. Alexis: Why does Raegan desire Bear? What is it about him that makes her want to marry him? Describe how he’s completely captivated her heart. Melissa: Raegan has had a thing for Bear since she met him. I’m actually not a huge fan of “insta-love” tropes, but I think with Raegan, it wasn’t insta-love so much as insta-intrigue. LOL! When this story opens, Raegan has known Bear for about six years. He showed up years ago as a stranger in town with a past he never talked about. For a girl who has basically never left her hometown, that’s just plain interesting. But by the end of this story, it’s not the mystery surrounding Bear that she loves but the man he is. Sacrificial. Loyal (sometimes to a fault). And incredibly noble. Melissa: I try not to write “morals.” LOL! When I start out writing a book, I don’t think to myself, “Okay, what’s the message of this story?” Because I feel like if that’s my goal, then there’s a danger of forcing characters into situations just to teach a lesson to readers. Instead, I want the characters to drive the story…and if I tell a good story, then a natural theme or emotional journey will emerge…which will, I hope, have readers walking away impacted in some way or at least thinking about questions and timeless truths. The theme that emerged in All This Time centered on what it means to be honest and truly vulnerable with the people we love. It’s something neither Bear nor Raegan are good at. 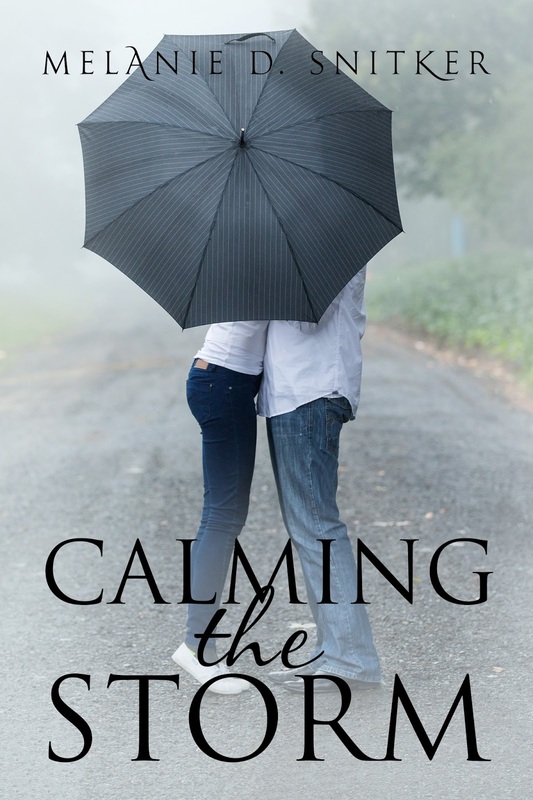 Bear doesn’t want anyone to know about his past and Raegan is hiding her panic disorder. There’s a spot where Raegan finally says something along the lines of, “Why do any of us keep things from the people we love?” That’s a very personal moment in the story for me because I found myself asking the same question about myself…why do I hold back sometimes in relationships? What does it really mean to live authentically? I hope that’s something readers find themselves thinking about as they close the pages of All This Time. Alexis: What do you want readers to remember most about All This Time? Melissa: I really want them to close the book with thoughts on their own lives and relationships. I hope All This Time points toward truth and grace in an intriguing enough way to send readers looking for it in real life. I’d love for a reader to close this book thinking about the depth of their own relationships. But I also want them to simply swoon and laugh and maybe shed a tear or two as they walk this final journey with the Walker Family. Alexis: If you could have a coffee date with Reagan, what would you say to her and how would you take your coffee (flavor/mixture/order details)? Alexis: Thanks for the interview, Melissa! God bless your dear heart. 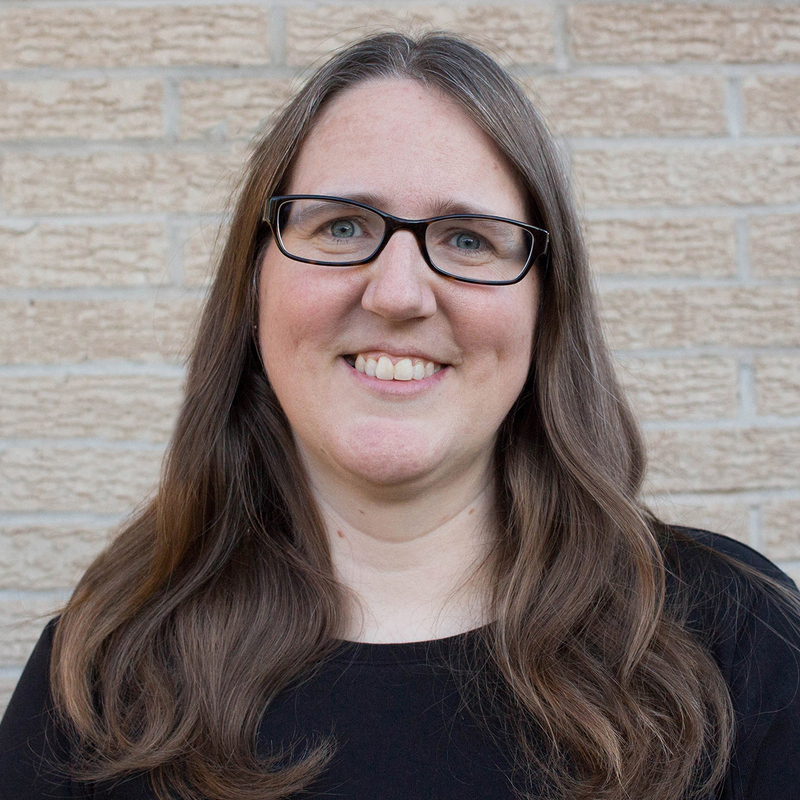 Melissa Tagg is a former reporter, current nonprofit grant writer, and total Iowa girl. She’s the author of the Walker Family series, the Where Love Begins series and the Enchanted Christmas novella collection. Her books have made both the Publisher’s Weekly Top Ten and Amazon.com bestselling lists. When she’s not writing, she can be found hanging out with the coolest family ever, watching old movies, and daydreaming about her next book. Book Blurb: Bear McKinley’s past refuses to let go. Ten years ago, Bear gave up everything—his freedom and his reputation—for his mess of a family. But after years of distance and too many attempts at starting over, he finally has a new life doing noble work in Brazil . . . until his past catches up to him once again. Suddenly he finds himself back in Maple Valley, charged with the care of his missing brother’s children, convinced he’s out of second chances to make his life count. And yet, with every day that passes, these kids, this quirky town and the woman he never stopped missing help patch the holes in his heart. Maybe this is the fresh start he’s been longing for all along. But as his newfound hope grows, so does the mystery surrounding his brother’s activities—and when the threat reaches into the lives of those he loves, it’s clear he can’t run away this time. Raegan Walker is fine. She’s happy working a slew of part-time jobs, still living in her childhood bedroom and rarely venturing from her hometown. At least, that’s what she tells everyone . . . and herself. But she can’t help wondering what might’ve happened if she hadn’t abandoned her art so many years ago—and if Bear McKinley had never left. When Bear returns and she’s commissioned for a painting that just might revive her artistic ambition all in one week, it’s time to finally reach for more than fine. But doing so means facing the fears that have held her back all this time, including admitting the secret she’s kept from Bear and her family. With her dream and her heart on the line, how much will Raegan have to risk to finally chase her happy ending? 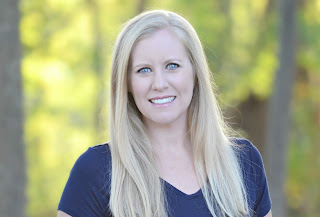 Connect with Melissa on her website, Facebook, and Instagram.